Shoutout to my coworker Alex who shared this article with me about what to learn from failed link building campaigns! The lesson about video was especially interesting to both of us, because I’ve always found it awkward to use videos for link building. The other lesson I thought was great was providing more than just one visual asset, which when I thought about it should have been obvious before I read this article. But sometimes you need to have things pointed out to you! Read the article to learn more lessons about failed link building campaigns. I happened upon this great map from Mental Floss going over the most overused business terms in each state. 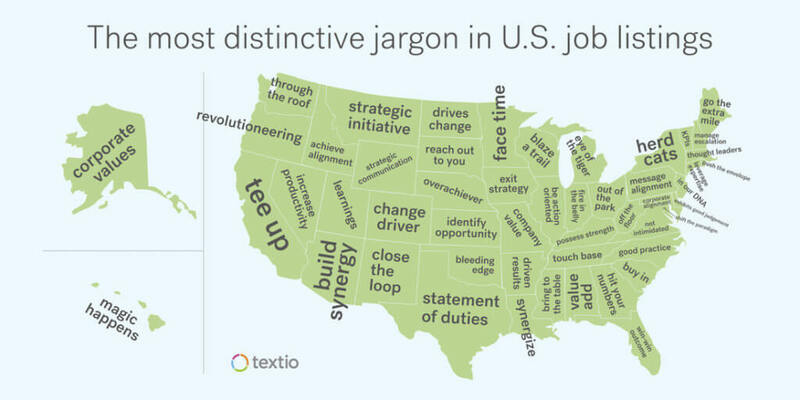 In the states where I have held a job the top jargon was “thought leaders” and “be action oriented” (Massachusetts and Illinois to be exact). I do love that Hawaii’s is “magic happens.” That’s so Hawaii. That’s it for this week’s roundup! 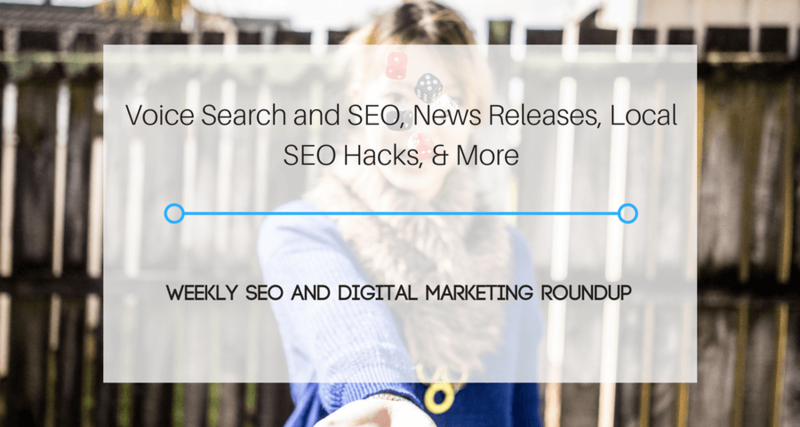 Be sure to check out past Weekly SEO and Digital Marketing Roundups. As I always say, read up to keep up!